Most people who journal, keep a blog, or write as a hobby, don’t consider themselves writers. Yet, there are lots of opportunities to work-from-home while getting paid to write. When it comes to earning money as a writer, having an understanding of your target audience, being flexible, and delivering on-time and well thought out work (I'll argue) is more important than your education or experience. In fact, I've never asked any of my writers for their resume or what their college degree is in. All I care about is, if you can write well-researched, thoughtful, unique content, that's delivered on-time. If you want to work-from-home and you enjoy writing, you should take a deeper look into becoming a paid writer. If you’re a blogger or simply enjoy writing, there are many websites that will pay you to write thoughtful, well-researched blog posts. Many of these opportunities allow you to include a byline and a link to your website (so it’s a wonderful way to build your portfolio and reputation). Websites often have guidelines to follow for writing paid posts. For good writers, rates range anywhere from $20 to $100+ per post. Some blogs even pay writers per word, so look at the rates before you submit your query. If you're ready to jump into blog writing, check out this post. Copywriting and copyrighting are two very different jobs. Copywriting is a form of persuasive writing used in advertising, commercials, and promotional materials (nothing to do with the legalities of copyrights). Copywriting positions may entail helping businesses with social media and web content, printed advertising, press releases, and more. If you choose to work for a copywriting agency, they will most likely want you to work in-house and have a background in writing, advertising, marketing, or communications. However, if you choose to freelance, you can apply for gigs and prove your worth. Of course, you'll want to learn as much as you can about copywriting by reading books, taking courses, and attending industry events. In fact, Prerna Malik started off as a freelance writer and blogger, but now today, she runs a very successful six-figure copywriting agency from home. Be sure to read her story, it's super inspiring! Ghostwriters capture the voice of their client and craft posts, articles, and even books while remaining anonymous. Ghostwriting requires writers to get in the head of someone else while maintaining their strictest confidence. Ghostwriters often develop close relationships with their clients. The work is generally scalable and ranges from part-time to full-time. Ghostwriters can earn up to six figures, depending on their area of expertise. Most ghostwriters earn a set rate per article or project. Grant writers work for non-profits, schools, colleges, and organizations to help them secure funding for their projects. Grant writing requires technical writing skills, as well as close knowledge of the project, and organization requesting the funds. They should also understand the non-profit terminology, logic models, and project presentation. Some grant writers work on a success-only payment basis, but because the world of grants and fundraising is highly competitive, this is a challenging fee structure for writers who are learning the ropes. Grant writers are very important to nonprofits and vital to their success, so most organizations pay their grant writers well. Annual salaries range from $42,000 up to $75,000 per year. Journalists capture current events and document stories of everyday life. They may work for newspapers, magazines, or online publications. They often work alongside photographers and producers to create and capture the angles of an important story. Freelance journalists are usually highly involved in a certain niche (such as politics, education, or design) and become experts on a topic. They know the latest happenings and report the news as they see it occur. Freelance journalists are often paid by the word for their publications, usually between $.35 and $.99 per word. Are you persuasive? Are you interested in public policy? Letter writing opportunities give you a chance to compose letters to legislators and lawmakers on behalf of companies. These are often letters regarding certain policy, written on behalf of a client, rather than expressing the writer’s own viewpoint. Advocacy and influencing public policy is a fascinating job. For many projects, the hours are during regular business times when contacts are in the office. There is still a great deal of flexibility for work-from-home writers, who set their own schedule and select the number of hours they’d like to work. Imagine seeing your byline in a women’s magazine or a parenting magazine. Pretty amazing right? Many publishing companies use freelance writers to contribute articles and ideas. Often, you’ll need to “pitch” your idea in a query letter to a magazine publisher. There are content mills and bidding sites, but the pay per article is low, so directly pitching your idea is often a better route. Most articles fetch roughly $50 each, depending on the length and depth. National publications may pay $1,000 or more per article. 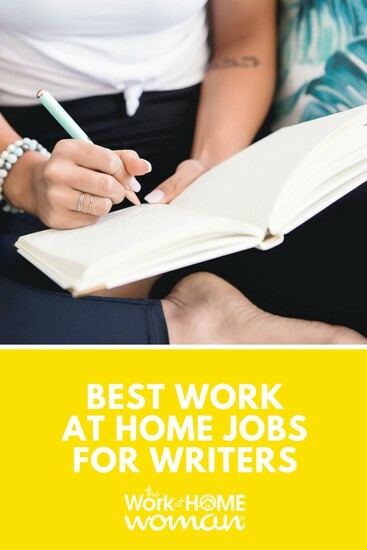 If magazine writing is your dream, it’s a great work-at-home job for writers. Becoming a novelist is tough, but many people will admit it’s their ultimate dream. If you’ve been working on a novel, the first step is to get feedback from honest readers. Ask them to critique your work and be brutally honest. Once you’ve drafted your novel with feedback, you’ll submit excerpts to agents. If an agent is intrigued by your excerpt and summary, they may request your entire novel and then agree to represent you. Your agent will shop publishing houses to find someone to publish your book. Alternatively, you can self-publish, especially in e-reader format, through sites like Amazon. Self-publishing means you’re responsible for promotion, advertising, and networking. This may be a good option if you’ve built up fans and followers through a blog or other publications. The important idea is to keep writing, get comfortable with rejection and feedback, and stay persistent. Like becoming a novelist, becoming a poet isn’t necessarily an easy job to break into, but for some writers, poetry is what speaks to their heart. There are publications, such as Poets & Writers, that accept submissions in their literary magazines. Some poets also choose to promote their work online through their blog or website. There are also companies who may seek writers to craft jingles, greeting card poems, and other bits of copy that are poetic in nature. If you want to become a work-at-home poet, it’s important to practice daily, network with other writers as often as possible, and share your work. 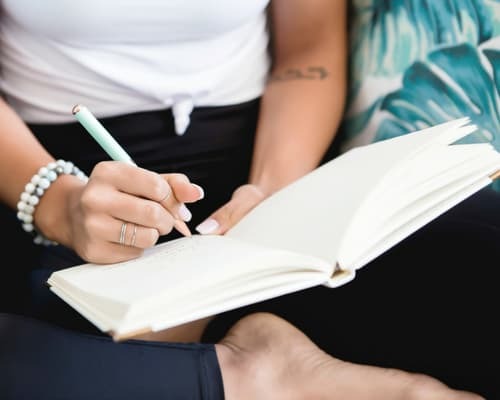 When you’ve built up a significant body of poetry, shop for an agent to help you get your poetry published, just as you would as a novel writer. If you enjoy the thought of helping others better their lives and find their dream job, then resume writing is a great work-at-home job for you. Potential job seekers look for resume writers to help them refine their message and convey a succinct and clear picture of their skillset. Many resumes are overlooked because of poor layouts and simple mistakes that could easily be caught with an expert eye. Becoming a resume writer doesn’t require formal training, but it does require you to have a basic knowledge of the job recruiting industry and to understand what appeals to potential companies. Romance has always been a popular genre of writing and after the success of Fifty Shades of Grey, many budding romance authors saw their window of opportunity. James’s novel started out as self-published fanfiction spin on the Twilight series of books. While this may sound like a pipe dream, it’s possible to self-publish your romance writing successfully. Blogger, Rachel Blaufeld became a bestselling romantic suspense author after years of working as a social worker and blogger. If you have a knack for romantic storytelling, share your short stories online, work on building up your readers and consider self-publishing as a start. Scriptwriting is definitely an art form. While most of us think of a script or screenplay writer as someone who works in movies and theatre, scriptwriters are also used for television, video games, advertising, and even comic books. Some screenwriters start out crafting their own stories while others adapt another author’s story for the screen or stage. To get started, network with other writers and those in the entertainment industry. If you have the time and money, go to school to earn an MFA in screenwriting or dramatic writing (which will help you get your foot in the door). Otherwise, start sharing your work as much as possible. Reach out to local theatres and filmmakers to see if they’re interested in producing your piece. Talk to those who are successful and ask them to help you network. Technical writers take detailed information and break it down so it’s understood as clearly as possible. Technical writing opportunities span almost every industry: technology, the medical field, government, law and manufacturing. Technical writing is direct and clear. It’s easy to understand and professional. Technical writers must not only understand the process they’re explaining, but they must be able to get into the head of their reader and audience. If you have experience or knowledge in a specific industry along with a talent for writing, you may be perfect for technical writing opportunities. If you love to travel and share your experiences with others, travel writing is a fun work-at-home (or work-from-anywhere) job to satisfy your wanderlust. Many writers share their journeys on their blogs or via their own travel website but there are also many travel publications that accept submissions for travel writing. Learn how these two travel writers built up readership in the travel industry and how you can follow their example. One of the best parts of travel writing (especially if you own your own website or blog) is you can often write off your travel as a business expense! As you can see, there are plenty of freelance jobs for writers. Finding work-at-home writing gigs isn’t difficult, especially if you’re flexible about the subject matter you’re willing to tackle. If you love to express yourself through the written word, working as a writer may be your dream work-from-home career. Do you work-from-home as a writer? What types of writing jobs do you work on? Do you have questions about freelance writing? Drop us a note; we'd love to hear from you! From all described above, ghostwriting is the best for my temper. I think I will try this. I am looking for an opportunity to work from home. Actually, I am waiting for a reply from https://writorial.com/, but to be honest I am not sure I fit them. I like writing a lot, but I think I have not enough of knowledge to work there. I want to work from home. for me “Grant Writer” was new and i enjoyed i. You did a nice work, I never heared abot Grant Writer, thanks for he work. Glad you enjoyed the list, Ella. Please send me a perfect 📧 address in this international art gallery where l can send my own handmade pictures directly. And earn money from the gallery members and public directly. I am interested in proofreading. Is there anything available along that line?